Is it possible to find that spark again – that special something that made a series brilliant the first time around? Networks and services like Netflix, Hulu, Dave, Yahoo, etc certainly think so, pouring money into nostalgia projects like Gilmore Girls and Full House, but can these endeavours ever really live up to the original? Most television series outstay their welcome in their original runs, so what makes executives think that revisiting old properties is the way to go? If anyone could have pulled it off, my money was on Amy Sherman-Palladino, creator of Gilmore Girls. This was a series that defined a certain time in my life and has stood the test of time. The hype leading up to the new episodes was extreme and I admit that I bought into it. I love Stars Hollow and wanted to know what these characters have been up to in the last decade. The trailers weren’t entirely promising though. While they captured the witty banter, the small-town quirkiness, and the aesthetic of the original series, it felt a little forced. The acting was surprisingly poor, coming across like a live-in-the-studio Christmas special with hammy-ness to the max rather than the stellar performances we were used to in the original. And this flaw was not limited to the trailers. Lauren Graham, so brilliant in the original series, seems to have lost her acting ability around the time she plasticized her face. Even Alexis Bledel is a tad am-dram at times. While they do get better as the episodes wear on, it’s a sad way to re-enter a beloved series. The best performance comes from Kelly Bishop, Lorelai’s intimidating mother Emily. She never misses a beat and manages to convey an impressive array of emotion through one look. And if looks could kill, Lorelai would be long gone. But this series was never wholly about the leads – it was an ensemble show with the entire town of Stars Hollow. And like the original, the colour and personality of the townsfolk are what lifts the show out of being just another middle-of-the-road comedy drama about rich white people (outside of the speedy dialogue and pop culture references). All our favourites make appearances, from Kirk to Babette, Michele to Taylor, and all of them are on form. Not technically a member of Stars Hollow, but Paris Geller is as feisty and brilliant as ever, reminding me to be angry I don’t see Liza Weil in more. When the performances do fail, I’m not sure it is entirely the fault of the actors. Amy Sherman-Palladino and her husband Daniel Palladino wrote and directed the episodes. Perhaps they were too close to it, too in love with the premise to be objective, but the directing does the series no favours. The writing, while it still has much of the zing of the original show, at times feels like it is trying too hard to be witty and quirky at the expense of real plot or character depth. It just missed the mark – not by a mile, but a foot – but it still missed. The added run-time of the episodes doesn’t help either. 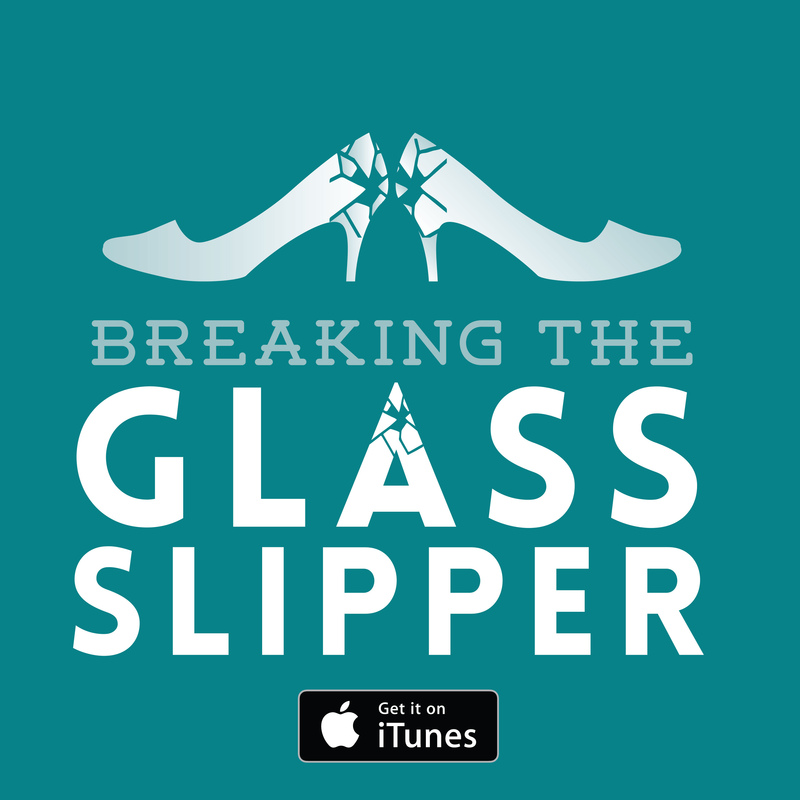 Instead of a focused 42 minutes, we have a long, rambling full hour and a half. And the writing flounders as a result. They aren’t sure how to frame each of the ‘seasons’. While it was a nice year to structure the new season this way, I’m not sure the stories they developed had enough oomph to make it work. The stakes never felt particularly high – we never had any major blowouts that would cause lasting impacts. Life simply continued on, with ups and downs, without ever suggesting anything insurmountable would happen. One of the show’s defining features was Rory’s ‘goodness’ – she was a good person, a good student, an excellent writer… Rory could do no wrong; she wore a halo. In the later seasons, the writers flirted with Rory going off the rails (in a very Rory way), but by the show’s finale, Rory had her life back on track. A Year in the Life finds that Rory is floating career-wise, she’s lost all direction. Her love life isn’t in a much better state. But unlike the original series, these installments find her on a fairly normal, very relatable path. Despite her intelligence, resolve, and success, she still finds herself unstuck. The show both calls attention to the cliché of Rory’s generation with ‘the 30-something club’ while also addressing it as a real issue. 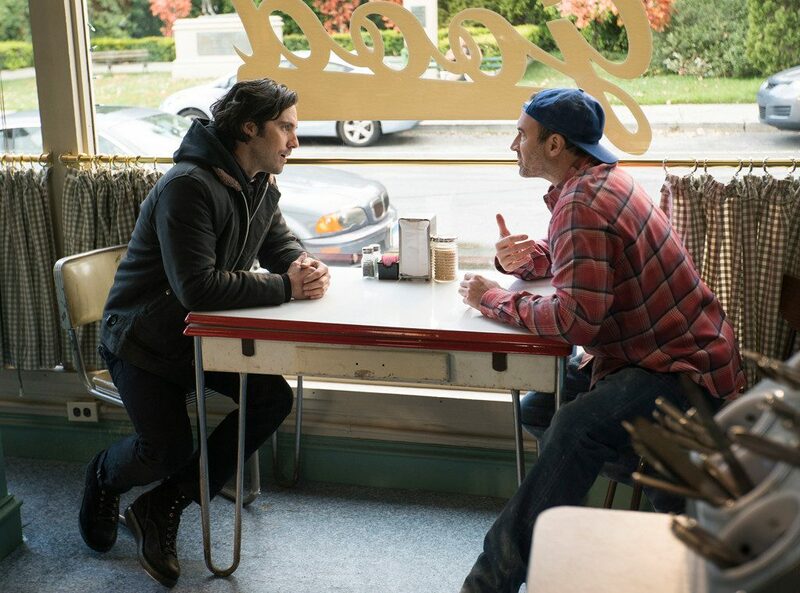 It is arguably the biggest strength of this revisit to Stars Hollow. Having said that, some of Rory’s behaviour in the revival does not sit well with her established character – how she treats Paul, her involvement with an attached man, and more. Halfway through the third episode, the revival series finally finds its feet. The rigid, forced acting of the first two episodes has disappeared, with the leads slipping back into the characters. 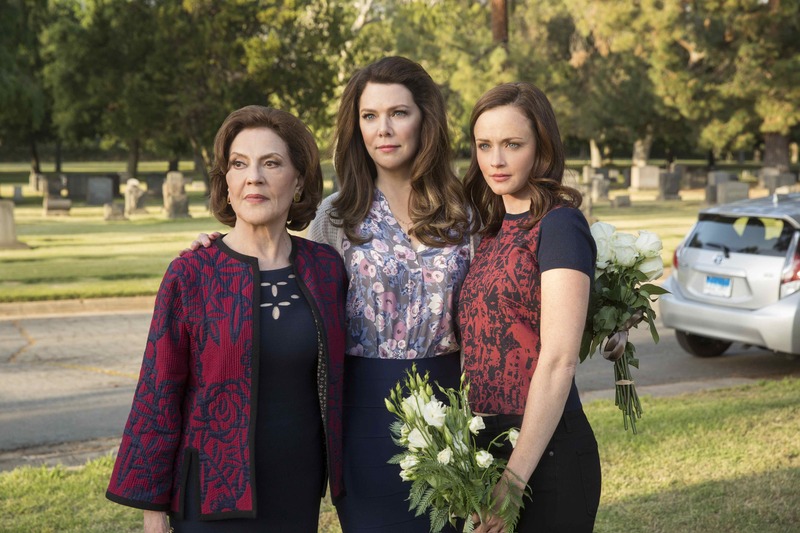 After an overly long segment of a quirky town musical, however, the directors rely on heavy-handed camera work, lighting, and music to set up Lorelai’s journey for the final episode. 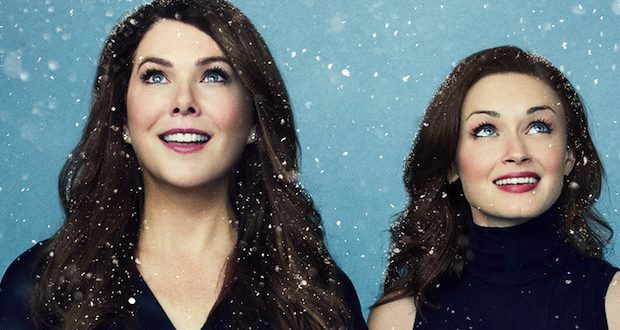 It may have taken four and a half hours to get there, but finally, A Year in the Life begins to feel like the original Gilmore Girls on our screens. The heartfelt emotion is there, the tension, the grief, the hard choices, the heartache. ‘Fall’ has moments of elation as well as deep lows. It is almost perfect. The story of Amy Sherman-Palladino’s infamous ‘last four words’ – the last four words she had always intended to end the series on – was an added pressure. I was extremely worried these words would be clichéd. I should not have worried. No matter the other flaws of the revival series, the ending is perfect. I see exactly what Sherman-Palladino was doing and I hope that Netflix also see it. 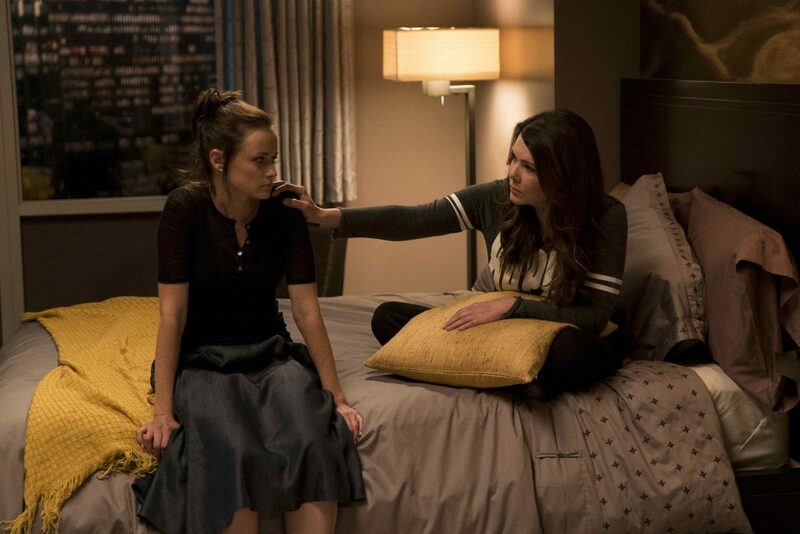 There is no need for any more Gilmore Girls episodes; we know exactly how this story goes. 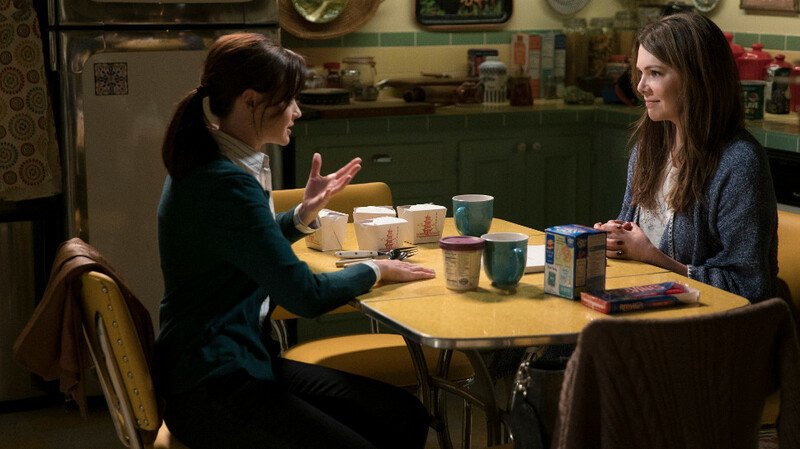 Verdict: Gilmore Girls: A Year in the Life is disappointing, for the most part. It does pick up towards the end to deliver some real closure and excellent storytelling by the final episode, but it’s a shame that it takes so long to hit that sweet spot. 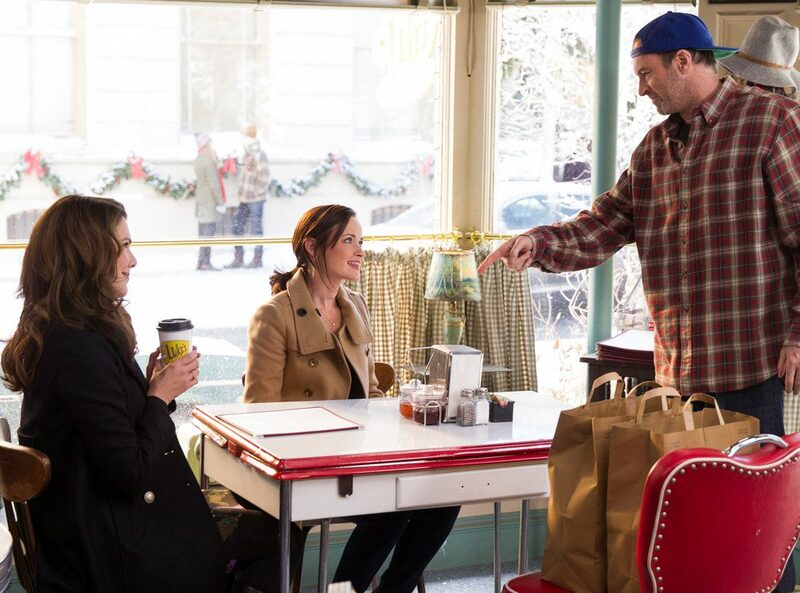 Gilmore Girls: A Year in the Life is a Netflix original series and now available to stream. Netflix also has the full run of the original series available. The Golden Girls: Breaking boundaries and challenging prejudice Binge watching: Hemlock Grove Love: We’ve all been there Santa Clarita Diet: I know we have to kill somebody today, but we have to be parents every day.